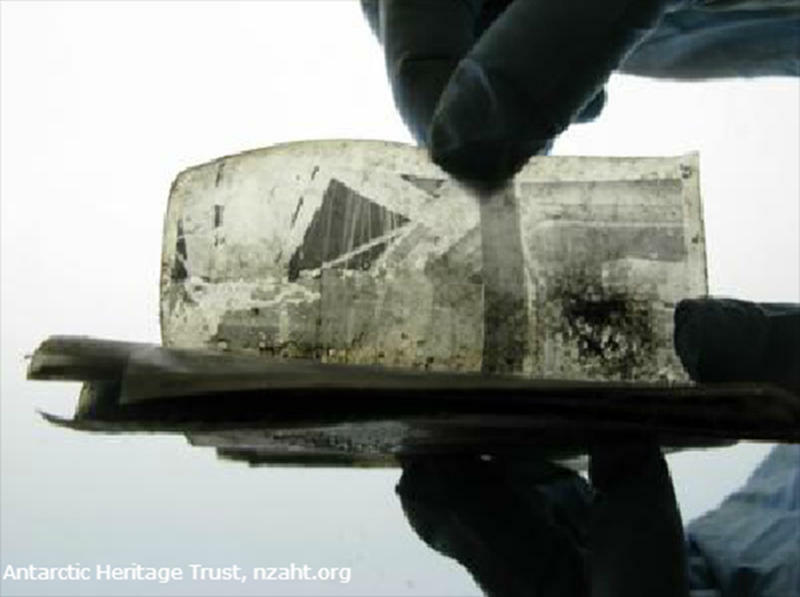 Conservators of the New Zealand Antartic Heritage Trust was restoring one of the exploration huts in Antarctica when they stumbled upon a box that held a remarkable treasure. 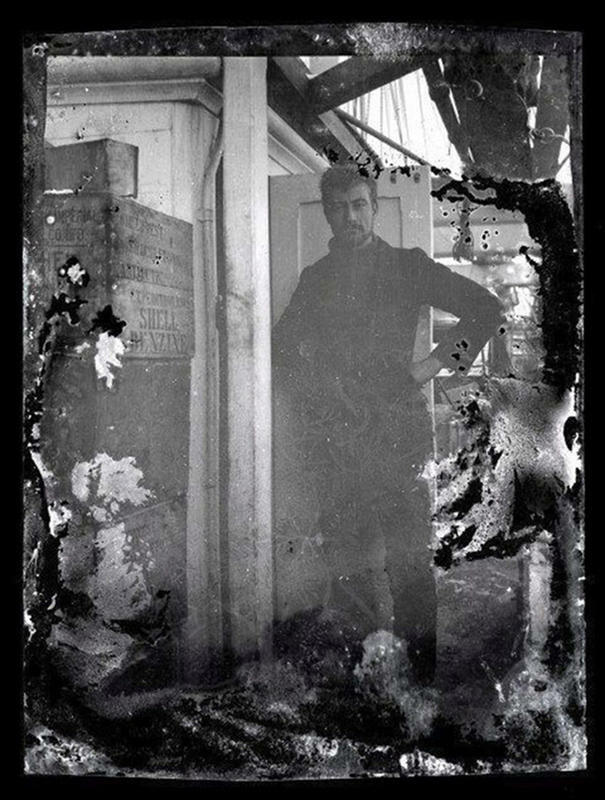 Inside the box were century-old cellulose nitrate negatives documenting the life of Antarctic explorers 100 years ago. 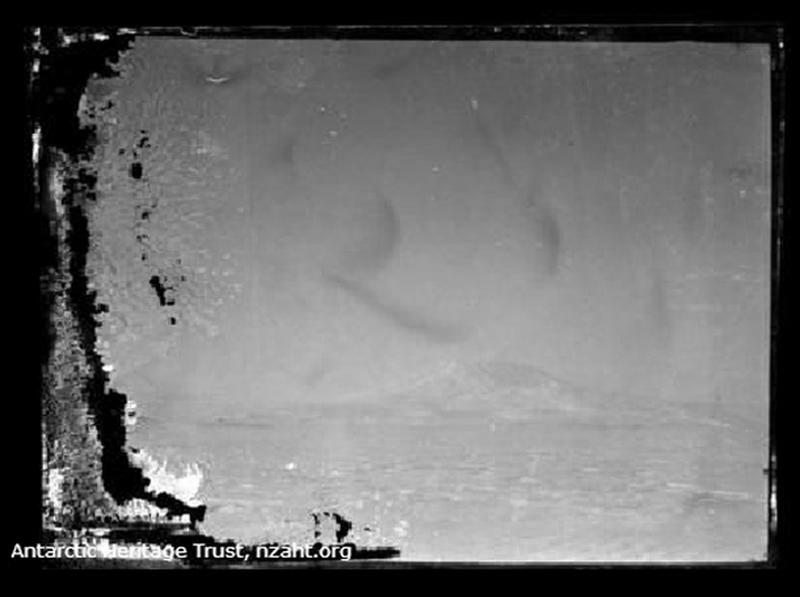 Luckily, these never-before-seen negatives were preserved in a block of ice. 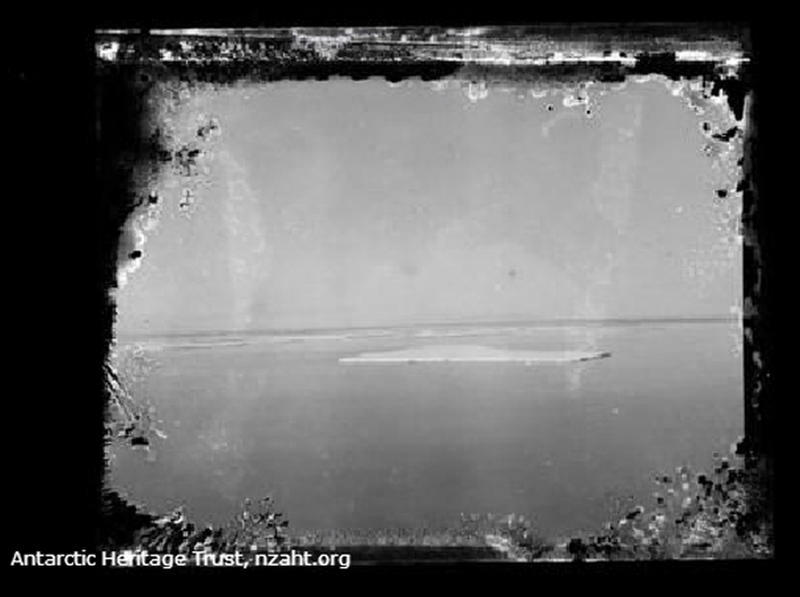 The restoration process though proved to be a tedious task. 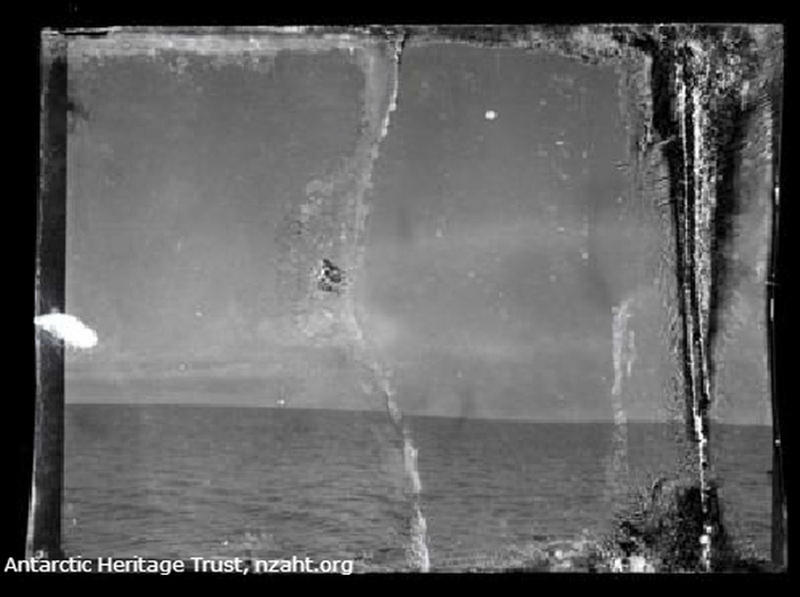 After being frozen for 100 years, the negatives were all clumped together and had to be carefully separated first from one another. 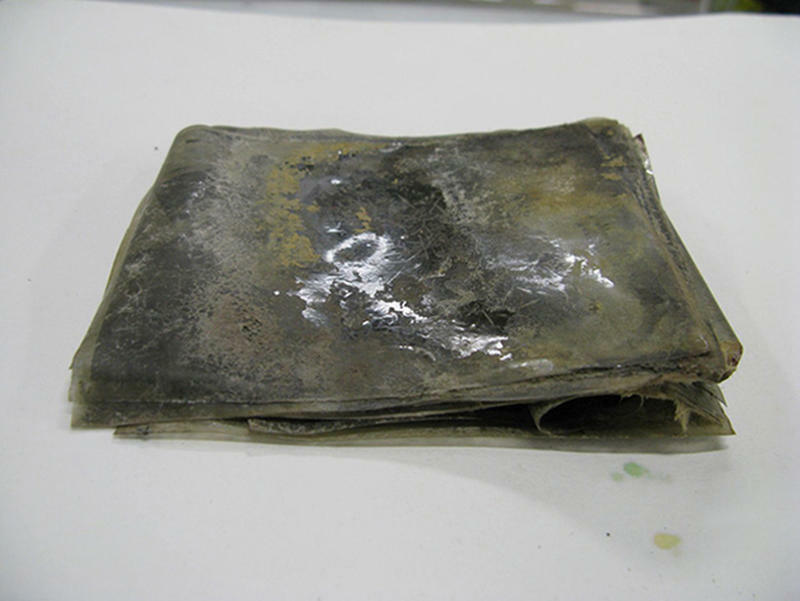 Next, they had to be cleaned and the molds removed before consolidating the cellulose image layers. 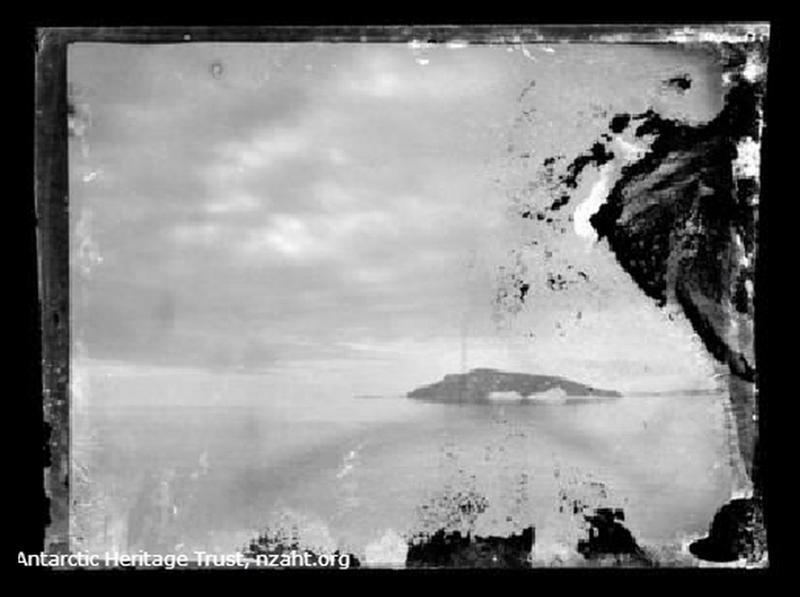 Examining the negatives. 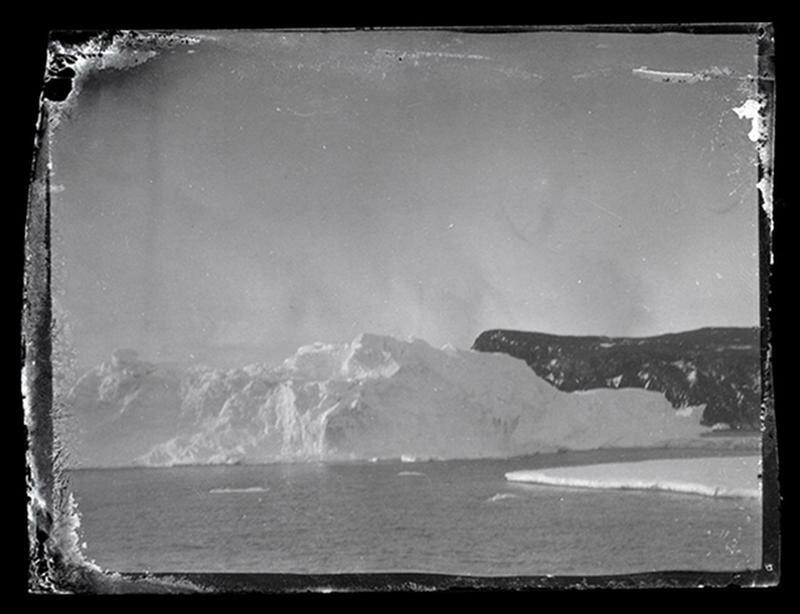 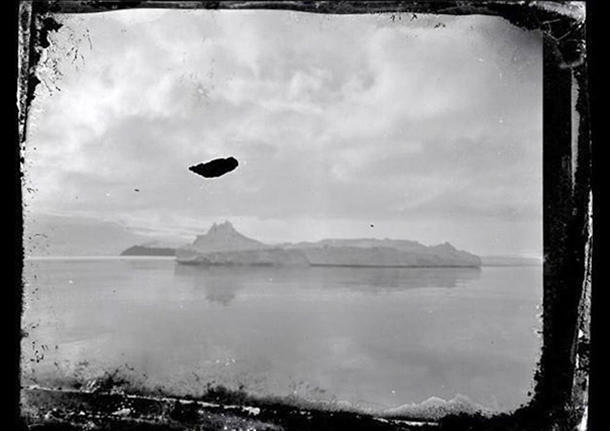 After a painstaking process, the negatives were finally processed into digital positives, allowing everyone of us to take a historic look on the incredible era of Antarctic exploration (1895 – 1917). 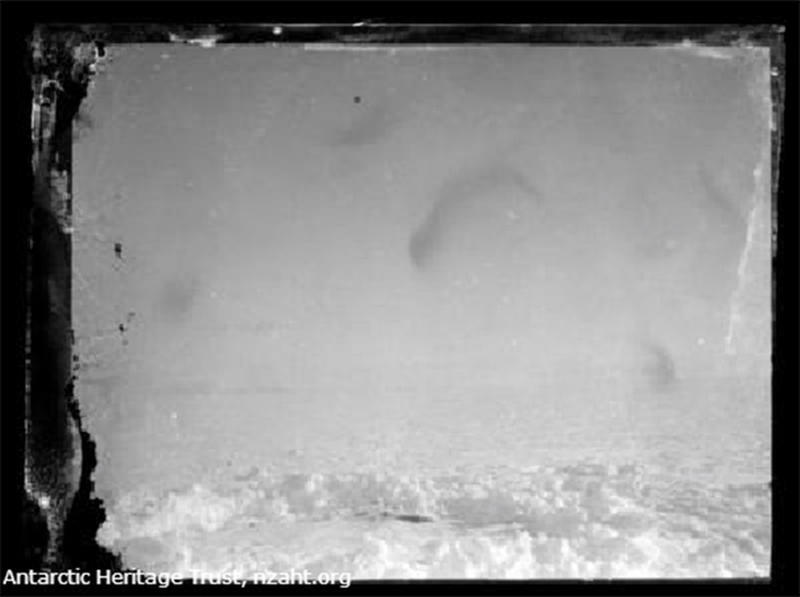 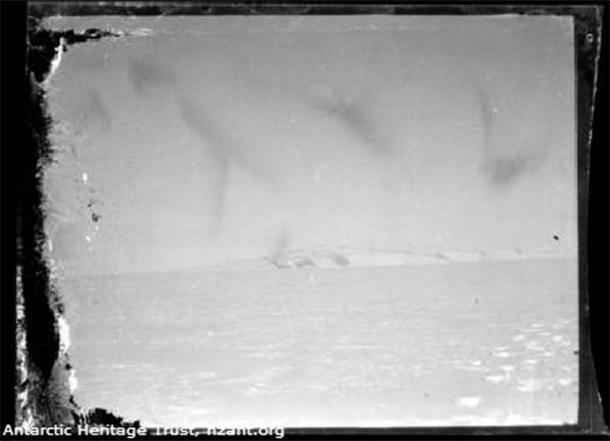 According to the Trust, "The photographs are from Ernest Shackleton’s Ross Sea Party (1914-1917), which spent time living in Scott’s hut after being stranded on Ross Island when their ship blew out to sea. 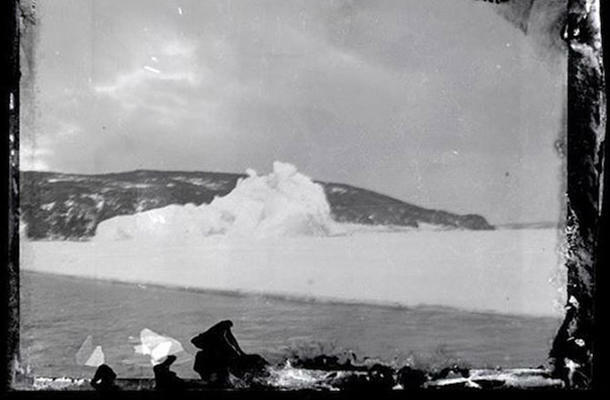 Their role was to lay vital depots for Shackleton’s expedition, which was to cross the continent from the Weddell Sea." 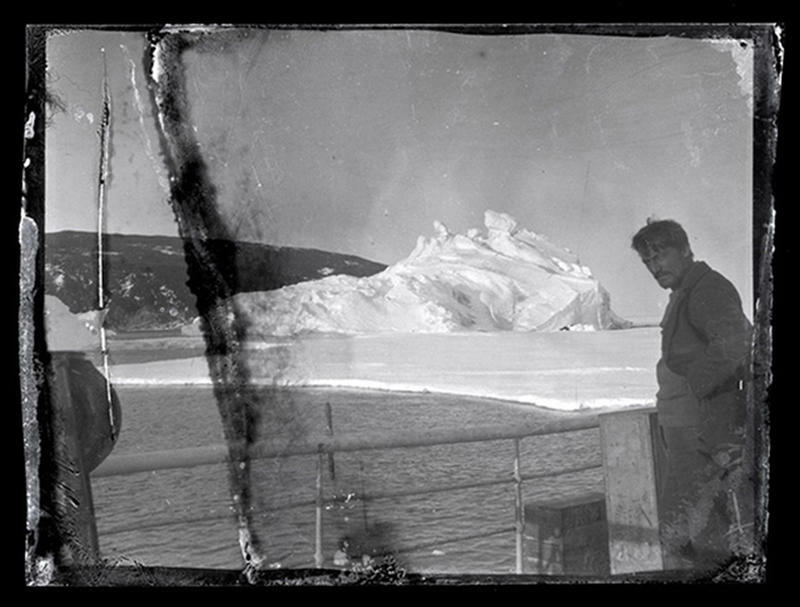 Chief scientist and geologist Alexander Stevens on the deck of Aurora. 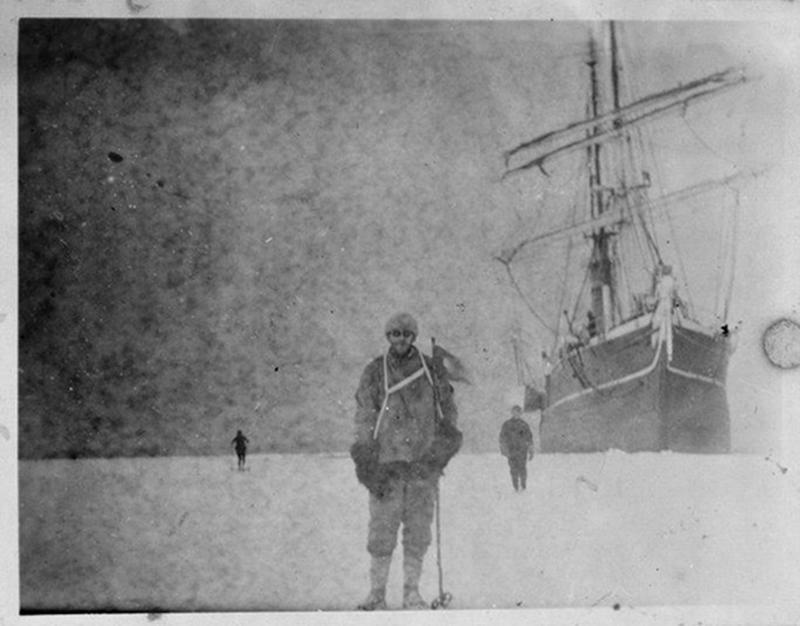 Alexander Stevens aboard the Aurora. 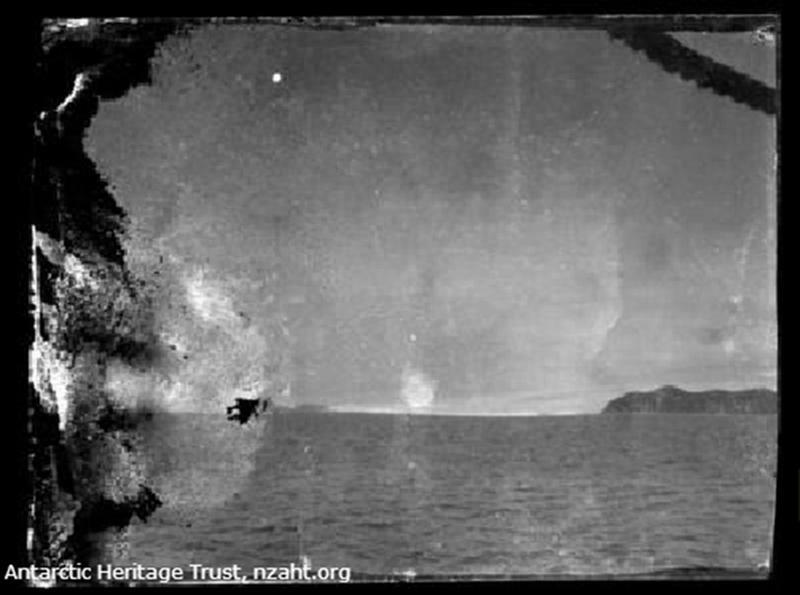 The identity of the photographer is still unknown, but is believed to be the expedition photographer Arnold Spencer-Smith.